For more than 30 years Home, Door and Window Products has provided high-quality steel doors in the Greater Metro Detroit Area. We have served over 150,000 satisfied customers over the years. Home and Door has a variety of steel front doors and steel exterior doors, giving plenty of options to pick from. We have Therma-Tru doors which are incredibly durable and the best steel doors on the market. Our professional sales team are educated on steel doors and are pleasant to work with. Home and Door’s goal is to provide our Troy clients with the best quality steel doors all while providing elite customer service. Troy, Michigan is located at the heart of Metropolitan Detroit’s northern suburbs. Troy is the largest city in Oakland County with a population of 83,181 and a leading business and shopping destination with premier office centers and the upscale Somerset Collection. 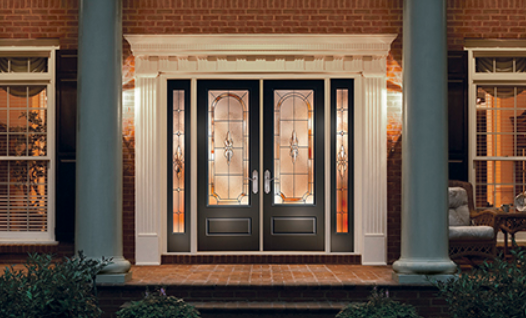 Our Troy clients know that Home and Door provides nothing but premium quality steel front doors. We are highly recommended to the friends and family of our Troy customers because we are reliable and have all the latest technology and styles of steel exterior doors. If you are looking for a unique custom steel door come to Home and Door and speak with one of our sales team members. Home and Door offers the greatest selection of steel doors in the Troy area. Getting a new steel exterior door provides energy efficiency as well as security. Our steel doors will enhance your curb appeal and the appearance of your business. If you are looking for a beautiful new steel door, Home, Door and Window Products is available and waiting to serve your call. Contact us at (248) 399-9900 to get a free in-home estimate today!